Never underestimate the power of a donut! 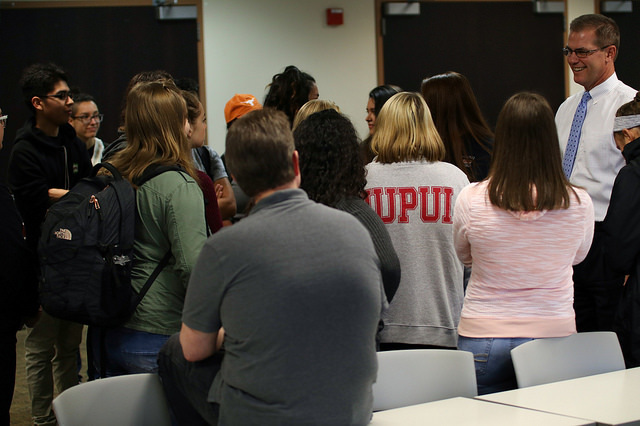 That’s one of the many lessons learned at IUPUI’s Division of Undergraduate Education’s first Donuts with the Dean event, an informal gathering between University College students and Jay Gladden, dean of University College. 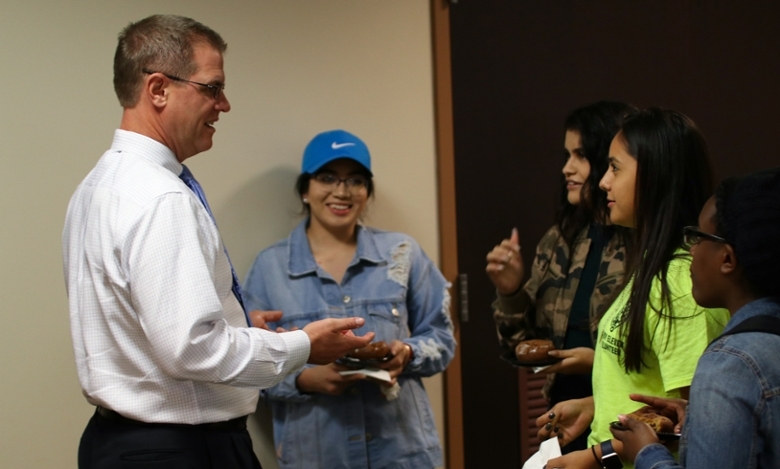 Over 100 students had the opportunity to stop by, grab a free donut, and receive a handshake or fist bump from Gladden, who was excited to have the opportunity to meet the school’s undergraduates. 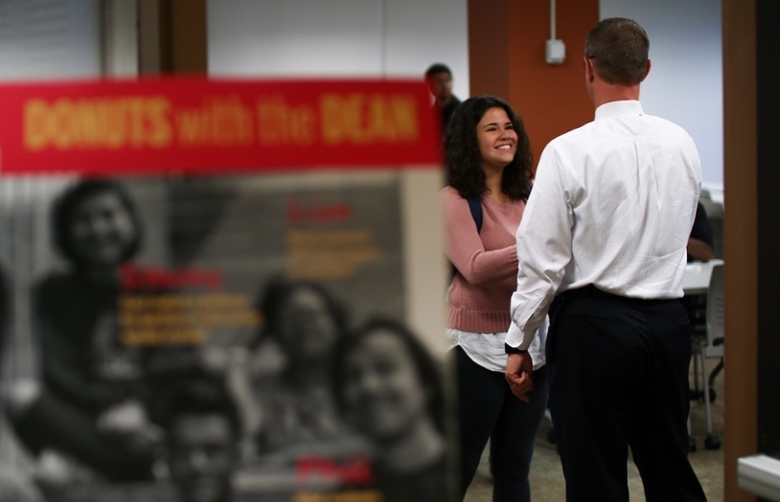 In addition to being able to ask the dean about University College (or the campus in general) and to offer suggestions or feedback to him, students also had the opportunity to hang out and mingle before returning to the fervor of midterm week. Donuts with the Dean plays into Gladden’s goal of “continuing innovation that leads to increased student learning.” Speaking to a large group of students that remained well after the donuts had gone, the dean offered encouragement to an undecided student, saying, “You don’t have to have a major, yet. 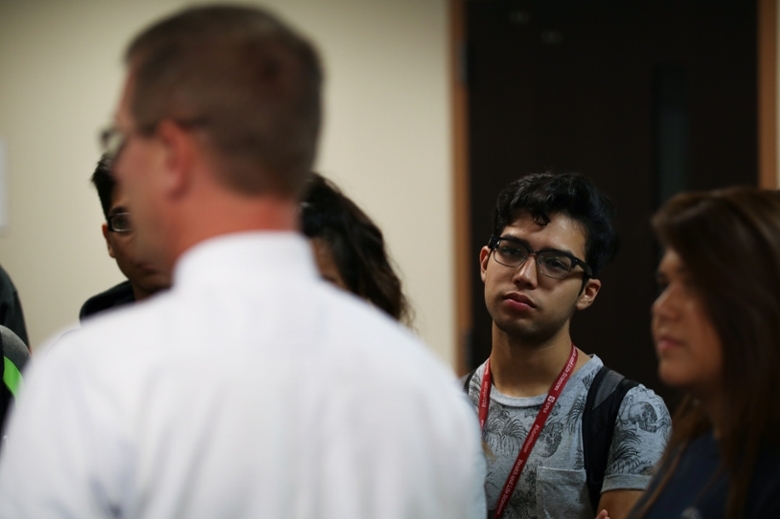 Just say ‘I’m still trying to figure it out’ and that’s okay!” Since University College supports students before sending them off to their degree-granting schools on campus, this type of encouragement is the backbone of the success of the Division of Undergraduate Education and its programs. As for University College itself, Gladden reckons that “if University College were a donut, it’d have to be a sprinkled icing donut. The sprinkles would represent the multitude of diversity and student interests that we have in this school.” A sprinkle donut would certainly represent the fun, upbeat nature of the division’s staff, who work diligently to provide students with a positive, engaging atmosphere in which to explore their career paths at IUPUI and beyond. As for the icing, Jaspreet Dhillon, a student employee in the division, says that “it represents how University College holds everyone together,” which is apparent with the success of this first Donuts with the Dean event. Never underestimate the connecting power of a donut. Ever.